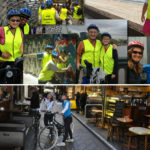 A bike tour is the perfect way to take in the scenery, get some exercise and have a fun day out with family or friends. 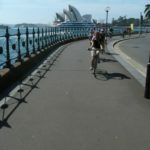 Forget a boring old Sunday drive or bus tour: cycling is best way to see the sights and feel the breeze on your face. 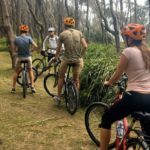 Our bike riding packages are the perfect adventure or gift experience for anyone who wants to explore their area and loves outdoor activities. 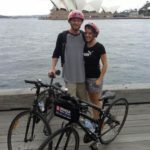 We offer guided cycling tours through the city and offroad. 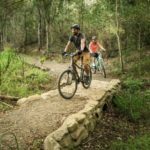 The city bike tours will have you taking in some of the best views and landmarks in places like Sydney, NSW and Melbourne, Victoria – while the mountain bike tours will have you on a wild ride down a scenic mountain biking trail. These fun and exciting trips will have you smiling from ear to ear. No matter what you’re after, we have the perfect cycling experience for you at Break Loose! 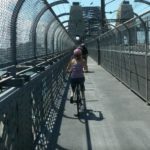 Take a heart-pumping guided tour through Australia’s rugged landscape or go on a relaxed ride around the iconic Sydney Harbour - whatever your style, get on your bike and go on an adventure!